Dr. Leven is a fellowship trained orthopedic spine surgeon practicing in Long Island and New York City who specializes in minimally invasive surgery, trauma, and spinal deformity. He completed his orthopedic surgery residency at the State University of New York, Downstate in Brooklyn, NY and completed his spine surgery fellowship at Mount Sinai Hospital in Manhattan. Dr. Leven teaches courses for residents and fellows on minimally invasive surgery and surgical approaches. He has trained with several of the leading spinal deformity and cervical spine surgeons in the country. Dr. Leven has over 25 publications in peer-reviewed journals on the topics of spinal deformity, adolescent idiopathic scoliosis, spinal cord injuries and cervical spine surgery and has written multiple book chapters. As an active member of the American Academy of Orthopedic Surgeons, North American Spine Society, and the Lumbar Spine Research Society, he has presented over 25 studies and over 75 posters at international conferences. In clinical practice, Dr. Leven’s focus is in minimally invasive surgery, disc replacement, cervical spine surgery, and spinal deformity. He is an associate professor with the orthopedic surgery residency program at Nassau University Medical Center. As a physical therapist for 10 years prior to pursuing his medical training, he worked extensively with patients suffering from chronic pain, scoliosis, neuromuscular disorders, traumatic injuries, and disability. He completed his training with the goal of maximizing his ability to help patients before, during and after surgery with a comprehensive treatment approach. His compassion for patients comes from hours of working with patients to improve their quality of life and Dr. Leven makes every effort to offer the best surgical option with the least invasive approach. 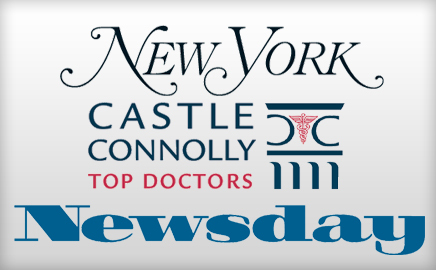 Dr. Leven has appointments at Mount Sinai Hospital, Lenox Hill, Nassau University Medical Center, Valley Stream and Beth Isreal Hospital. North American Spine Society Annual Meeting– Selected for Meet the Author Session (2015): Higher American Society of Anesthesiologist Score is an Independent Risk Factor for Complications Following Adult Deformity Surgery. Lumbar Spine Research Society– Annual Resident Research Award (2014): Risk Factors For Reoperation in Patients Treated Surgically for Intervertebral Disc Herniations, Spinal Stenosis and Degenerative Spondylolisthesis. A sub-analysis of the 8-year data from the SPORT trial. Brooklyn Orthopedic Society Resident Research Award– First Place (2014): Dynamic Changes in Sagittal and Axial Balance in AIS Patients: Can Surgical Realignment Improve Gait Balance?